It's happening all over the state–the renaissance of town centers. From Somerville to Red Bank and from Hoboken to Collingswood, life is coming back to downtown, with shops, dining, entertainment, and jobs. It's a national trend and New Jersey's on the leading edge. A key part of this urban renewal is public transportation. Nearly all of these revitalized towns are regional transit centers with train and bus service that bring bring commuters to and from work and customers to local businesses. It's a win-win situation–fewer cars on the road and more people downtown spending money locally. But a bankrupt Transportation Trust Fund will stop this economic growth in its tracks. If our trains and buses are full and in disrepair, more commuters will clog the already clogged roads, and all of this renewed energy in our towns will slow dramatically. That's why we need to fund the Transportation Trust Fund and dedicate those funds to capital improvements that benefit all New Jerseyans. 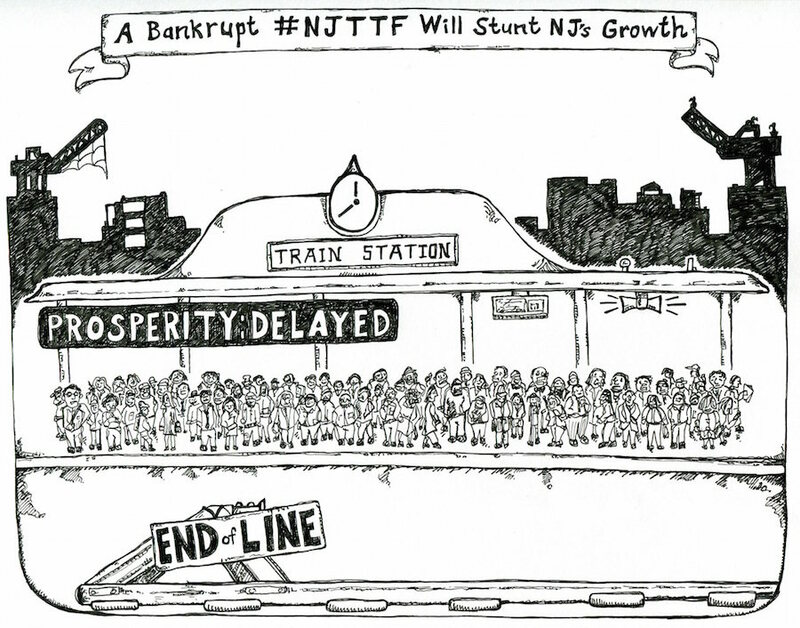 And before you say that the Transportation Trust Fund should not go to transit, think about this–NJ Transit provides nearly 900,000 passenger trips per day. PER DAY. Nearly a million times per day, someone is getting on a bus or train instead hopping in a car. Think the roads are congested now? Imagine a million more cars on them. So the next time you pass a bus or train, think to yourself, "More people on trains and buses means less traffic for me." Let's fund #NJTTF. Our economy depends on it.